Cost to paint a hallway varies greatly by region (and even by zip code). Get free estimates from painters in your city. Cost to paint a hallway varies greatly by region (and even by zip code). How much does it cost to paint a hallway? Cleaning and preparing the walls in this case involves the unscrewing of all vent grilles and taking down frames (if any). 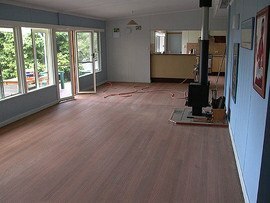 This work can be easily done on your own, and will save the painters some time and effort. 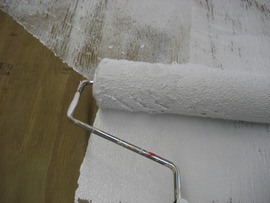 Covering it up with drop cloth to avoid any paint mark on them will protect your flooring. Drop cloths for this size work can be found at Home Depot for about $10 to $17 per piece depending on the quality and brand. If you have a baseboard running along the hallway, you may also need painters tape which cost between $5 and $7 per 60 yards. 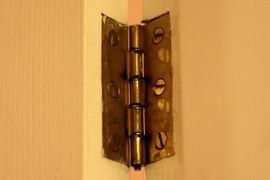 Remove the doors from the hinges 1 and ideally paint them while they are flat to avoid dripping. A wooden door will have to be sanded 2 and any paint buildup from previous painting will have to be scraped off. An all-purpose primer 3 will cost between $20 and $25 per gallon which is sufficient for both sides of the hallway. Primers 3 increase the durability of the paint while adding protection for the wall. For the doors, it is best to use an oil-based primer 3, which cost around $9 to $17 per quart depending on the brand. You will need half a gallon for 2 doors. A similar amount of paint will be required for the hallway, assuming you use a different color for the doors. You may need 2 coats of paint for the doors. The cost for a gallon of paint will range between $25 and $50 depending on the brand used, and you will need 2 gallons (1 for the walls and 1 for the doors). You will need the basic tools such as brushes, rollers and trays to start the paint job. Depending on the quality of the materials (of course the better quality ones will cost more), it ranges between $15 and $25 for a complete set of supplies. High-density foam mini rollers are recommended for the doors for a better finish. These cost around $5 for a pack of 2. Labor - An average rate for a painter is around $50 per hour. For a job this scale, which takes approximately 6 hours, the labor cost will be around $120 to $210. However, due to the doors involved, there will be an additional charge of between $20 and $35 per door based on the average labor rate by Craftsman Book Company for painting doors. This work may be done over 2 days, as it is necessary to wait for the paint to dry properly between coats. If you choose to have simple designs along your hallway such as one or two horizontal lines across, all you need is an additional pint of paint, which cost around $5 or quart (depending on how extensive you want these designs to be) of a different color. Just use a painter tape to ensure straight even lines. While it is a lot cheaper to DIY this painting job (between $120 and $210), you may lose out on the warranty. Painting the doors may also pose a problem if the doors are not prepped properly. How much does it cost to paint a hallway in my city? Cost to paint a hallway varies greatly by region (and even by zip code). To get free estimates from local contractors, please indicate yours.